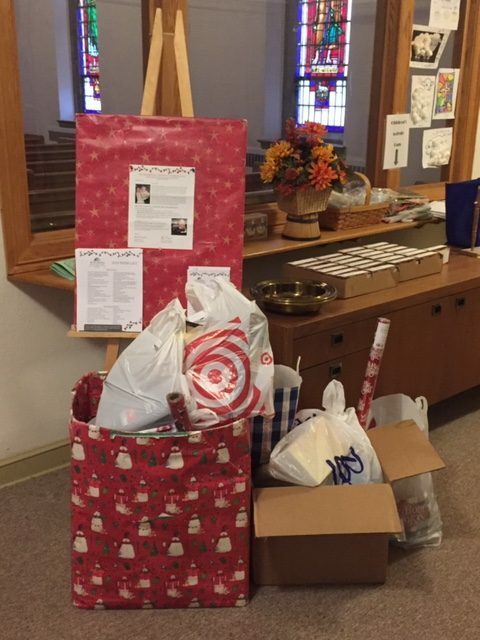 Our collection for the Martin Luther Silver Spring school resulted in over $700 in toys and cash this year. Many thanks to all who contributed to this effort. Saturday, December 1, 2018 – The altar Guild will meet at 10:30a.m. to prepare the church for Advent. Sunday, December 2018 – Advent begins December 2nd. Sunday, December 9, 2018 – There will be a Council Meeting in the meeting room downstairs immediately following the worship service. Please Plan to attend. Sunday, December 9, 2018 – Orders for Poinsettia Plants for Christmas are due on Sunday, December 9th. Please call the church office 610-356-1824 if you wish to order plants but have not yet filled out and returned your order form or place it in the offering plate by December 9th. Wednesday, December 12, 2018 – The Nursery School children will have their Christmas Program at 10:45a.m. upstairs in the church. Friday, December 14, 2018 – This is the last day of Nursery School till reopening on Wednesday, January 2, 2019. Saturday, December 15, 2018 – At 10:30am the Altar Guild will be packing cookies to sell at the annual Cookie Sale. Anyone interested in baking please have your cookies to the church by the morning of Saturday, Dec 16th. Thank you to all who help to make the Cookie Sale a success each year. Sunday, December 16, 2018 – We will be decorating the church for Christmas. Please stay after the worship service and help to decorate our church. We will also have a pizza lunch when the decorating is finished. On December 16th the Altar Guild will have their annual Cookie Sale. Please stop by the Narthex and buy a box or two for you to enjoy or give as a gift. Monday, December 24, 2018 – Christmas Eve Candlelight Service of Holy Communion starting at 7:00p.m. with special music. Christmas Eve 2018 promises to be memorable as the service at Grace begins with highly-skilled violinists Michael Shingo Crawford and Isaac Dae Young offering arrangements of German, Austrian, and Spanish carols. In addition to the congregational singing of traditional carols, the Choir will sing, and soprano Megnot Toggia will sing at communion. Please join us and lend your voice in making this Christmas Eve exceptional. Wednesday, January 2, 2019 – Nursery School will reopen at 9:00 a.m.
Sunday, January 6, 2019 – We will be Un-decorating the church immediately following the worship service. Please plan to stay and help. Sunday, January 13, 2019 – Our Annual Congregational Voters Meeting will take place immediately following the worship service. Please plan to attend this very important meeting.